A man in India has stabbed 14 members of his own Family to death, including seven children, before hanging himself, in one of the country's worst massacres in recent years. 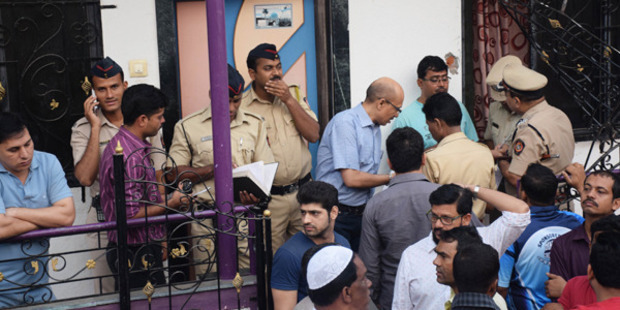 Hasnin Warekar, 35, killed his parents and several of his sisters and their children at the family home in the early hours of Sunday in the city of Thane, north of Mumbai, police spokesman Gajanan Kabdule said. One of Warekar's sisters survived the attack, and is being treated for her injuries in hospital. "He used a big knife. He killed his parents, his sisters and his sisters' children. He slit their throats," Kabdule told Reuters. Police are investigating the possibility that a property dispute lay behind the massacre, although a motive is yet to be established, he said. Local media reported that Warekar had laced his family's food with a sedative before slaughtering them, but Kabdule said this was unconfirmed as samples taken from the house were still being analysed.